In a large bowl, whisk the red onion with the Champagne vinegar and let stand for 10 minutes. Whisk in the olive oil and Dijon mustard and season with salt and pepper. 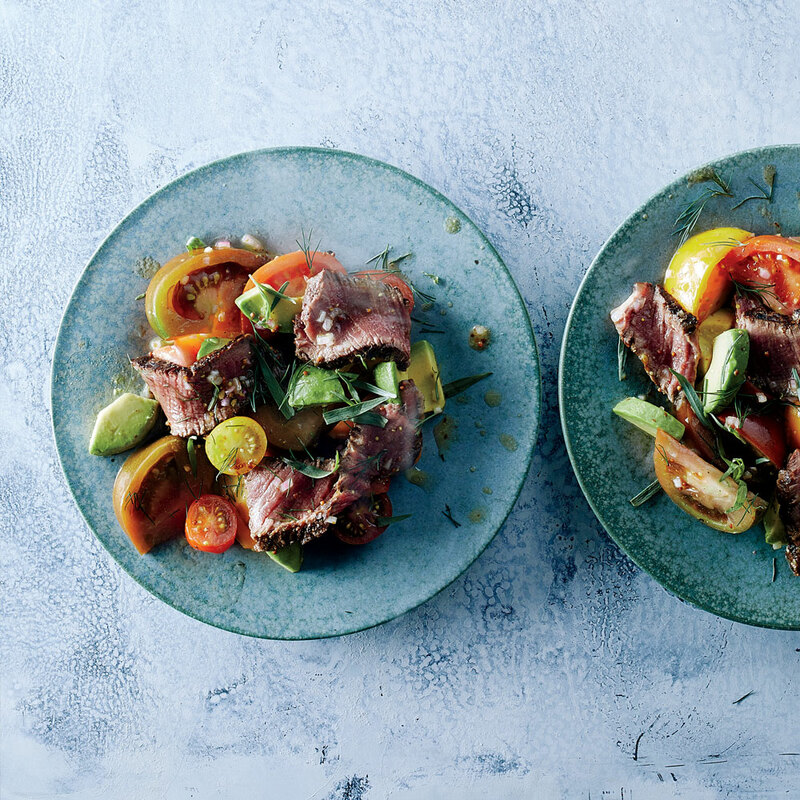 Add the tomatoes, beef and avocados and toss to coat. Season with salt and pepper and toss again. Fold in the dill and tarragon and serve right away.